Cruise veteran Martin Gerretsen continues his trek through the beautiful Greek Islands and reports from the island of Corfu. Martin continues his trek through the Greek Islands. Here is his latest report from Corfu. Corfu is renowned by many writers as one of the most beautiful islands of Greece and remains as a popular destination for many travellers. In the new edition of our book Mediterranean By Cruise Ship we have all the attractions and a walking tour map included for the town of Corfu. 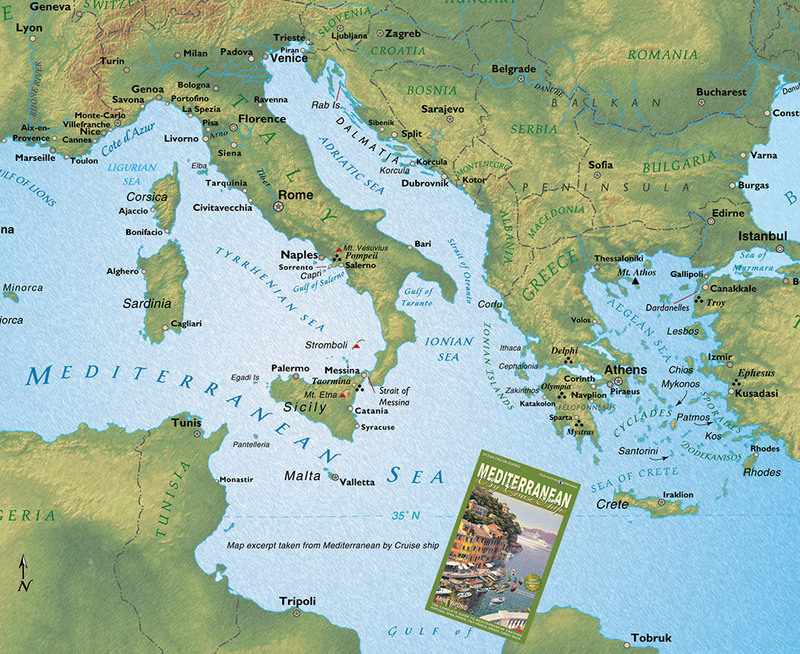 Portion of pull-out map from Mediterranean By Cruise Ship. 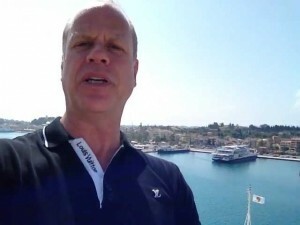 Martin reports from Zakynthos, Greece during his spring cruise through the Mediterranean. 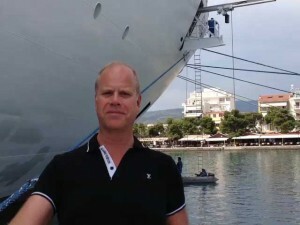 Martin Gerretsen reports from Zakynthos, Greece on his Med cruise on the Seabourn Odyssey. Zakynthos is one of the western most Greek Islands and is located in the Ionian Sea, southeast of the “heel” of the Italian coast. Dr. Martin Gerretsen stops in Itea, near Delphi in Greece. We’re back from a cruise and ready to add another Port Short from Martin Gerretsen. He continues his journey in the Mediterranean and reports from Itea, near the ancient city of Delphi. You can view this video here: Itea. 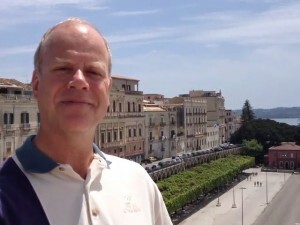 Martin reports from Syracusa on the east coast of Sicily. We continue with Martin’s Port Shorts from his cruise through the Mediterranean, perhaps one of the most intriguing of the world’s cruise destinations. Today Martin reports from Syracusa on the east side of Sicily and south of Mount Etna. 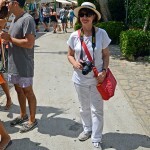 Martin is on a 14-day Italian and Adriatic cruise on the Seabourn Odyssey. 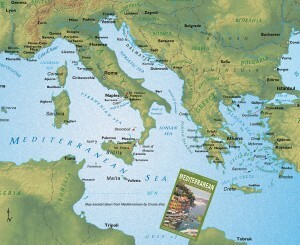 You can follow Martin throughout the Mediterranean on his 14 day cruise. 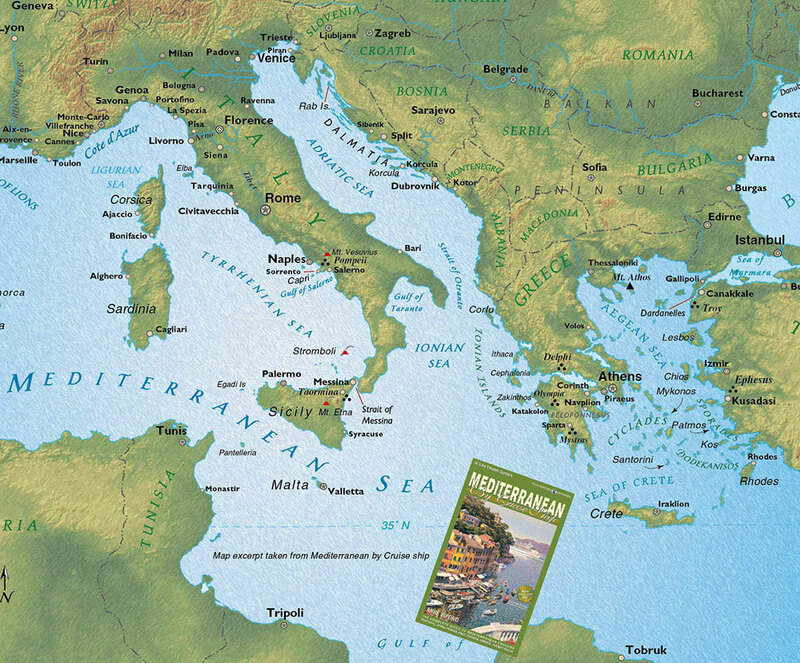 If you are going on a cruise to the Med, our new 6th edition of Mediterranean By Cruise Ship is now in bookstores. Martin Gerretsen gives some great tips in the exciting port of Valletta, Malta. 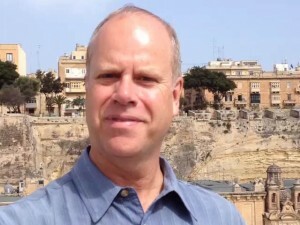 Dr. Martin Gerretsen continues his port shorts from the city of Valletta, capital of Malta. This historic city was built after an historic battle in the 16th century when the Knights Hospitallers defended the city against an Ottoman invasion. It was recognised as a World Heritage Site in 1980. 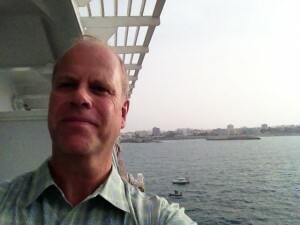 Martin continues his Med cruise arriving in Tunisia. Martin continues his Mediterranean cruise arriving at Monastir, south of the capital of Tunis in Tunisia. His next stop is Malta. Martin’s Port Short from the beautiful Amalfi Coast of Italy. Martin and Harvey have just come back from the Mediterranean on a great 14 day cruise on the Seabourn Odyssey taking them from Rome to Tunsia, a few Greek Islands, Croatia and much more. Great cruise and we have some interesting port shorts to show you from Martin. 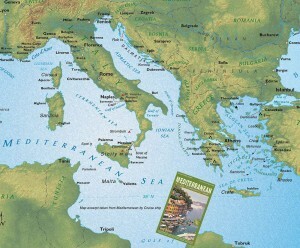 Excerpt from the pull-out map in our book Mediterranean By Cruise Ship. Martin’s cruise includes Monastir in Tunisia, Valletta in Malta and Syracuse on Sicily. We’ll update his other ports in the next installment. 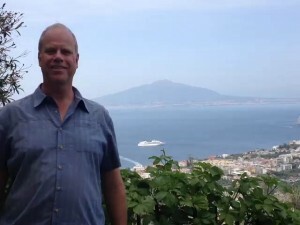 Here is his first report from beautiful Sorrento on the Amalfi coast. 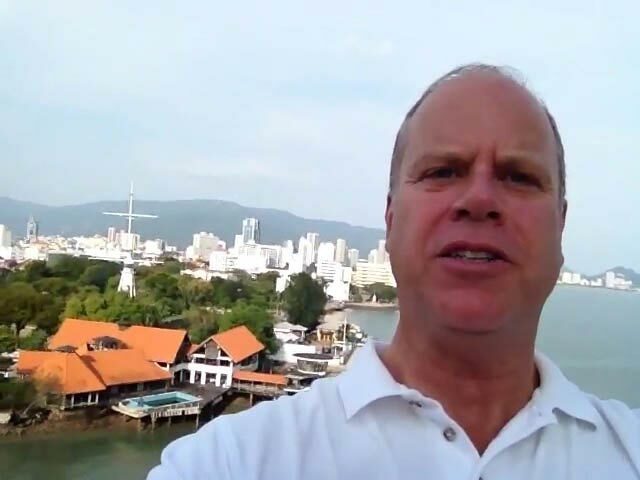 Martin Gerretsen in the port of George Town on the island of Penang. Dr. Martin Gerretsen finishes his fascinating Asia cruise in Malaysia. We catch up with him at the port of George Town on the island of Penang. Penang has the third-highest Human Development Index in Malaysia, after the federal territory of Kuala Lumpur and the state of Selangor. Its heterogeneous population is highly diverse in ethnicity, culture, language, and religion. 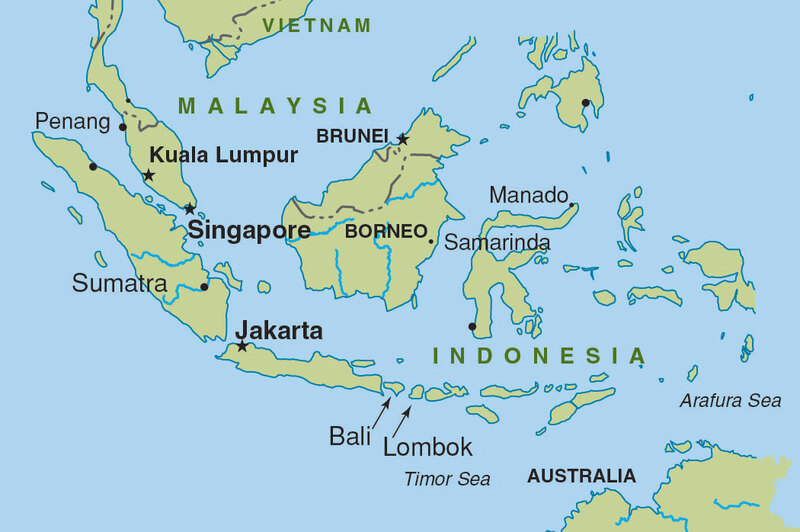 Map of Malaysia and area. 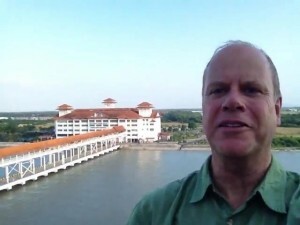 Martin Gerretsen at Port Klang, the port for Kuala Lumpur. Martin reports from the fabled land of Kuala Lumpur on his extended cruise through Asia. 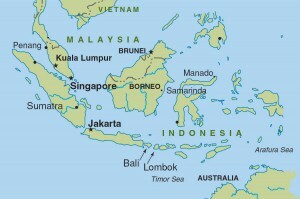 See Map from his Lombok report. 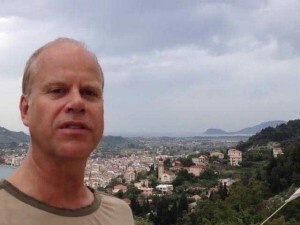 Dr. Martin Gerretsen in Lombok, Indonesia. Dr. Martin Gerretsen, continues his fascinating port reports from Indonesia. 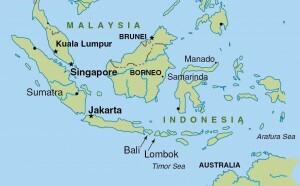 Today he is in Lombok (see map) where he is on hanging on to a fast boat coming into port. 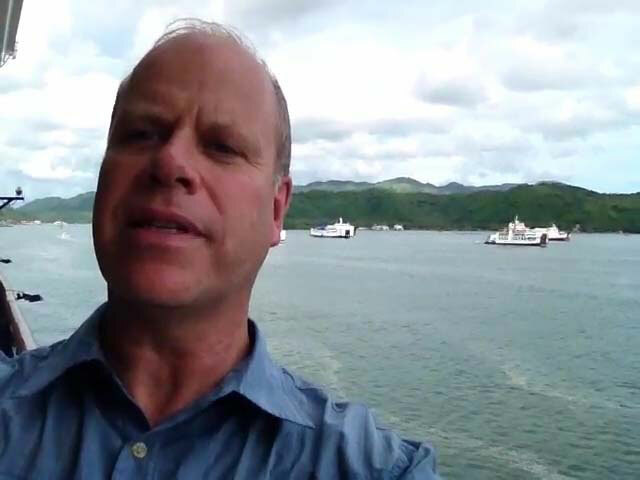 If you wonder how it is Martin travels so much, his company Sea Courses, based in Vancouver, organizes conferences on cruise ships to destinations around the world for the medical profession. 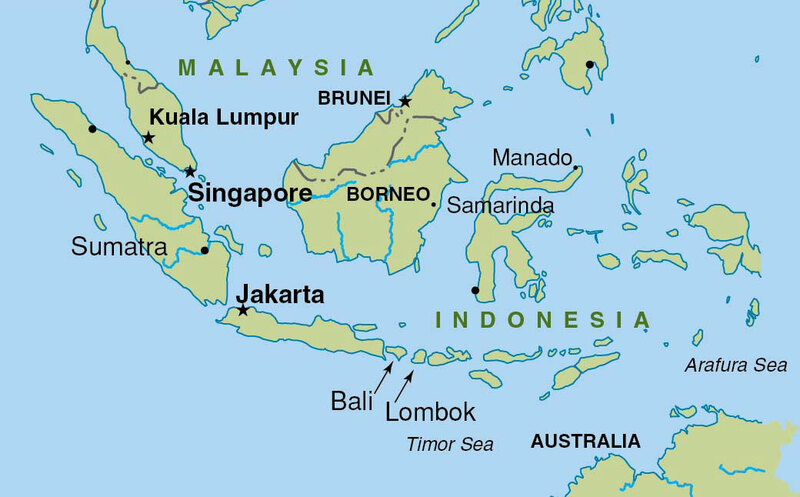 Map of Indonesia showing Bali and Lombok.